Siegler, formerly of TechCrunch, didn't get hands-on time with the product, but according to his multiple sources, the iOS Gmail app is coming soon and may have already been submitted for App Store approval. 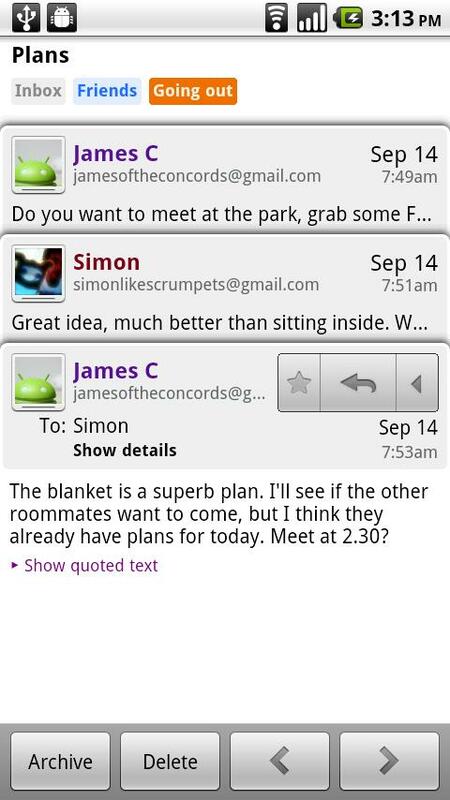 If this is true, there are many things to be excited about with a native Gmail app. 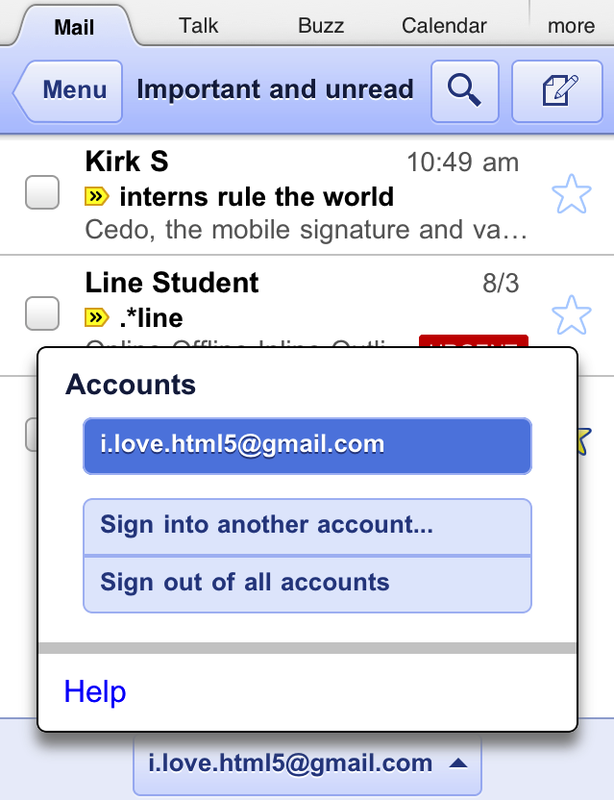 Let’s take a look at eight items on my wish list for a iOS-based Gmail app. Push Notifications: The automatic push of e-mail from Google's servers onto your iPhone is a much-missed feature that could finally work well given a native Gmail app. Though you can get Push for Gmail by tinkering with Exchange ActiveSync settings in the Google app for iOS, doing so is not as out-of-the-box as it could be. More Intuitive Controls: Gmail's Web interface makes it clear whether you're archiving, deleting or sending messages to different folders, like a spam folder. Unless you change some settings in Mail, it's uncertain whether you're deleting a message or sending it to Gmail's All Mail folder. Powerful Search and Filters: Apple made improvements to searching e-mail in iOS 5 -- like searching a message's body and not just the "to" or "from" address -- but it's still not on par with Gmail. 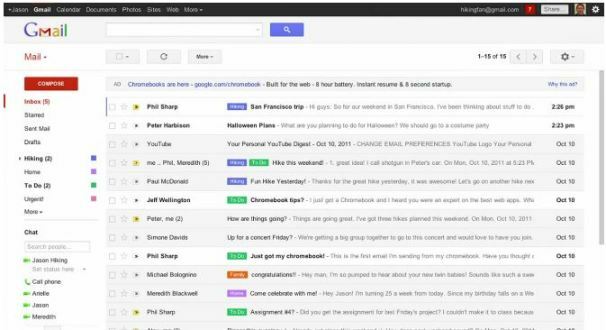 The upcoming revamp to desktop Gmail has a very powerful and fine-tuned search feature, as well as on-the-fly mail filter creation. Better Message Threading with Contact Photos: Google will soon be adding contact photos in message threads to the desktop version of Gmail -- an aesthetically pleasing but not altogether necessary addition. Mail doesn't have this feature, and neither does iOS's built-in Contacts app, which, frankly, would be pretty great. Multiple Profiles: Cycling between different Google profiles and e-mail addresses is a much-desired feature that's long been a part of Gmail but hasn't been implemented with Mail -- a native Gmail app could change that. Deep Google+ Integration: Google+ needs its time in the sun, and deeply integrating Google Chat, Hangouts video chat, and the ability to e-mail Google+ circles as grouped contacts from your phone would be the perfect opportunity for Google to differentiate its social network from Facebook. A Different Default E-mail App: This is more of a pipedream than a possibility, but since many people, like me, use only Gmail, it would be great to tap on an e-mail address in iOS and launch the Gmail app instead of Mail. But since it's not even guaranteed that the native Gmail app will be approved, asking Apple to change that may be a stretch.